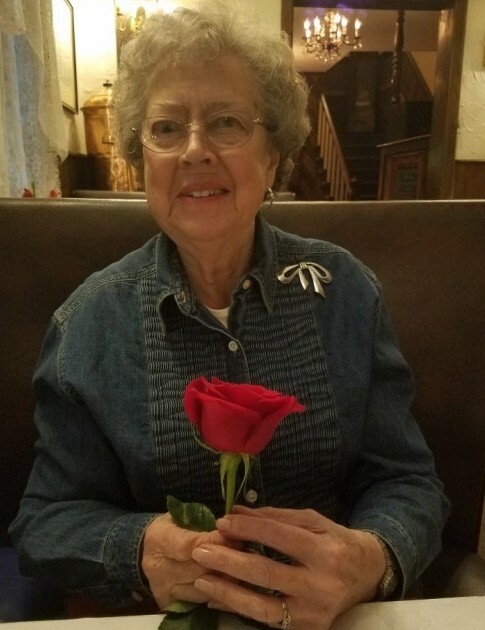 Ann M. (Eger) LeBlanc, age 84, a lifelong resident of Holyoke, passed away peacefully on Saturday, January 12, 2019, surrounded by her children: son Robert and wife Malissa; daughter Marie; son Steven; daughter Kristine and partner Christine; and her grandchildren: Robert, Mary, John, Tyler and Steven. In addition to her children and grandchildren, she is survived by her brother Carl Eger, Jr. and wife Shirley; brother Richard; sister Joyce Webster; sister Nancy Worsham and husband Wayne; and many much-loved nieces, nephews, and cousins. Ann was predeceased by her husband Patrick LeBlanc and her parents Carl Eger, Sr. and Mary (Kosiorek) Eger, former owners of the Paul E Anna Diner. She will be missed by her many dear friends and family. A memorial Mass will be held at Blessed Sacrament Church, 1945 Northampton Street, Holyoke on Saturday, February 23, 2019 at 10:00 am. In lieu of flowers, donations can be made in Ann's name to Shriners Hospital for Children, 516 Carew Street, Springfield, MA 01104.